A blend of Lavender, Bergamot, Geranium, Marjoram and Cedarwood pure essential oils to enable serenity and inner peace. Blended to enable serenity and inner peace. 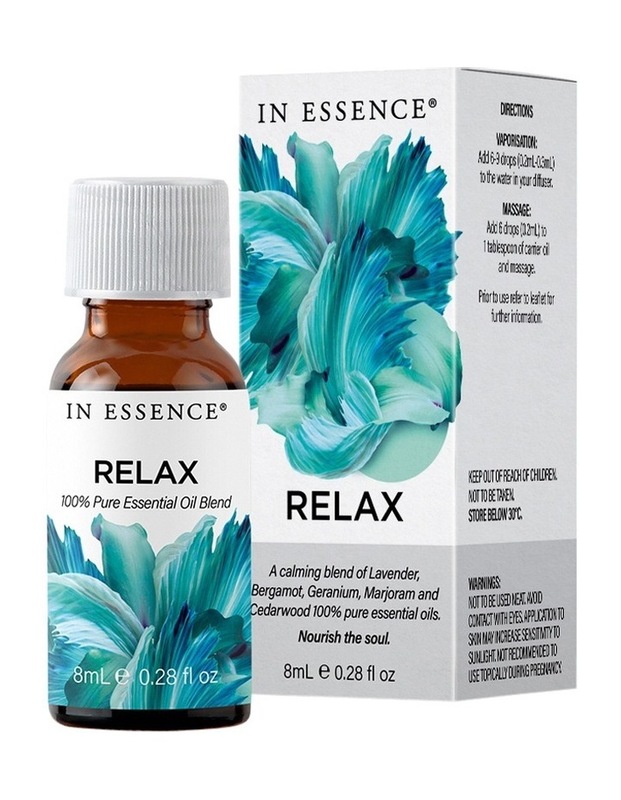 Calm your mind and body with a blend of Lavender, Bergamot, Geranium, Marjoram, and Cedarwood pure essential oils. Release the stresses of everyday life, and loosen your soul. Nourish the soul. NOT TESTED ON ANIMALS. Vaporisation: Add 6-9 drops (0.2mL-0.3mL) to the water in your diffuser. Massage: Add 6 Drops to (0.2mL) 1 tablespoon of carrier oil.